We specialize in computer repair to all homes and businesses in the Niagara region including Welland and St.Catharines areas. We provide onsite computer repair but you get the best deal and more service if you take it into the store. Visit our repair shop in Fonthill for the best service in town! We have been fixing and giving free diagnostics for years on computers. This is what we do for a living, no side jobs no pretend computer repair like other companies; charging for a diagnostic then saying your unit "cant be fixed" then taking your money and keeping your computer. Don't let this happen, Take it to us first!! !Niagara Laptop repair is keywords we use to make us money, not the business name. 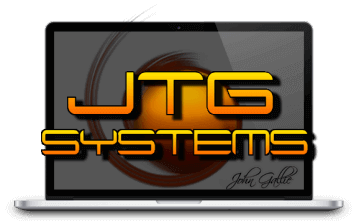 JTG Systems is Your #1 Choice for laptop repair and computer repair in Niagara region, Welland, St.Catharines area. We fix Apple laptops, Macs and computers. We provide onsite services to your city. to get your problems finally solved! We work on all makes and models of laptops, PC, and Macs. Computer speed or performance has slowed. Please rotate your device to view this site.